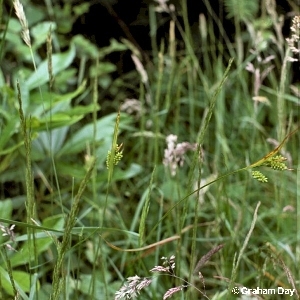 A sedge of light shade such as open woodland. The fruits are rounded, green and shiny when ripe. Fairly frequent around Northern Ireland. 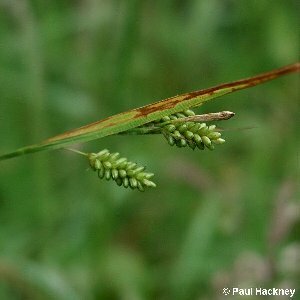 All names: Carex pallescens L.